Kelly Hanna Thompson Followers flock to Kelly Hanna Thompson for more than her creative and candid makeup looks shot backstage at fashion shows. On the side, she does cake decorating and nail sets for drag queens. She's also a mom who likes to share a more personal side of life and how she's able to balance it as best she can. 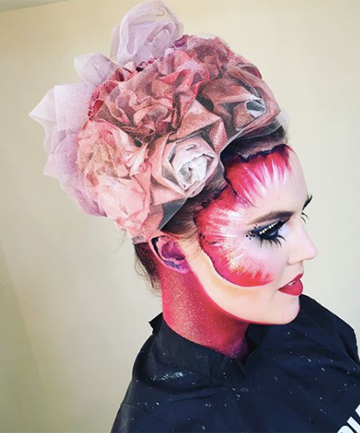 In her current role as director of Kryolan New York and Kryolan City Boston, Thompson is a big deal in the industry but she attributes almost all of her klout to Instagram itself. "Almost all my jobs come from IG — it's been a great way to connect with other artists, clients and students," she shares.